United recently announced they will be starting a daily, non-stop flight from Los Angeles (LAX) to Singapore (SIN) starting October 27, 2017. The outbound flight, UA 37, will depart LAX at 8:55 PM and arrive two days later at 6:50 AM local time. After 4 hours on the ground, the return flight, UA 38, will depart Singapore at 11:00 AM local time and arrive back in Los Angeles at 10:15 AM on the same day. United will utilize a Boeing 787-9 Dreamliner on this route. The flight will cover 8,770 miles, making it the longest flight operated by any US airline and the longest Dreamliner flight in the world. United currently holds the record now for the longest Dreamliner flight, San Francisco to Singapore, which is 8,446 miles. Singapore Airlines also operates a non-stop flight from San Francisco to Singapore but that is operated with an Airbus A350. This news is great for those heading down to Singapore but what will the flight experience be like? Well, only time will tell for sure but for now, the best comparison we have is United’s current San Francisco to Singapore flight. The LAX-SIN flight will be operated by the same aircraft and the flight times will be relatively similar. San Francisco to Singapore clocks in at 16 hours and 25 minutes and the return from Singapore to San Francisco is 15 hours and 30 minutes. The new Los Angeles to Singapore flight will clock in at 17 hours and 55 minutes and the return from Singapore to Los Angeles will be 15 hours and 15 minutes. The outbound flight will be over an hour longer than the San Francisco flight and the return will actually be a tad shorter. With that in mind, we can assume the flight experience will be relatively the same. 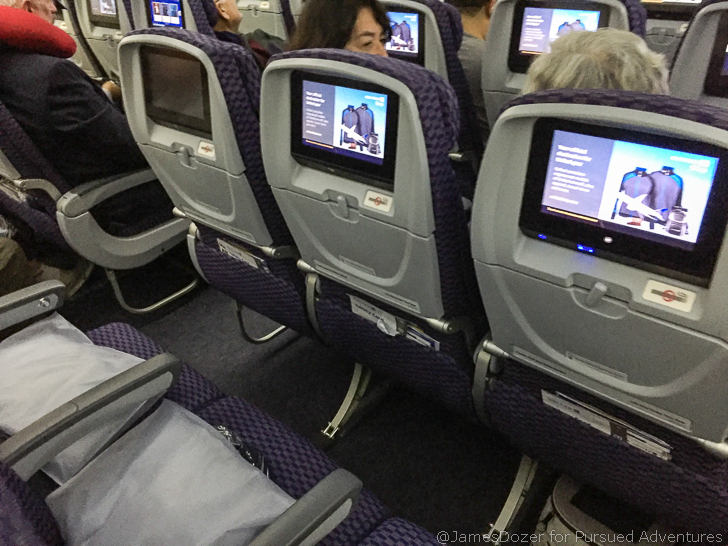 Click here to read my economy class review of United’s San Francisco to Singapore flight. 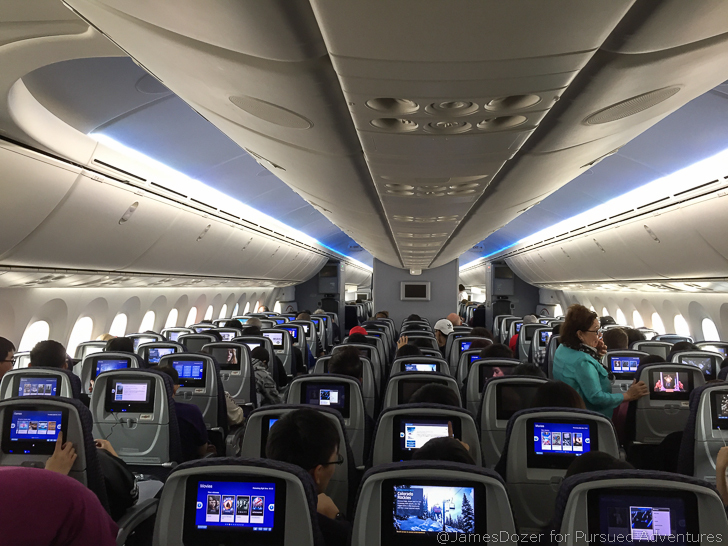 Click here to read my recommendations on which United Economy Class seats are the best. For United Boeing 787-9 “Polaris” Business Class passengers, you can expect United’s current business class seats in a 2 x 2 x 2 configuration and not the new Polaris seats found on their Boeing 777-300ERs. These seats go completely lie-flat but do not offer direct aisle-access for all passengers. 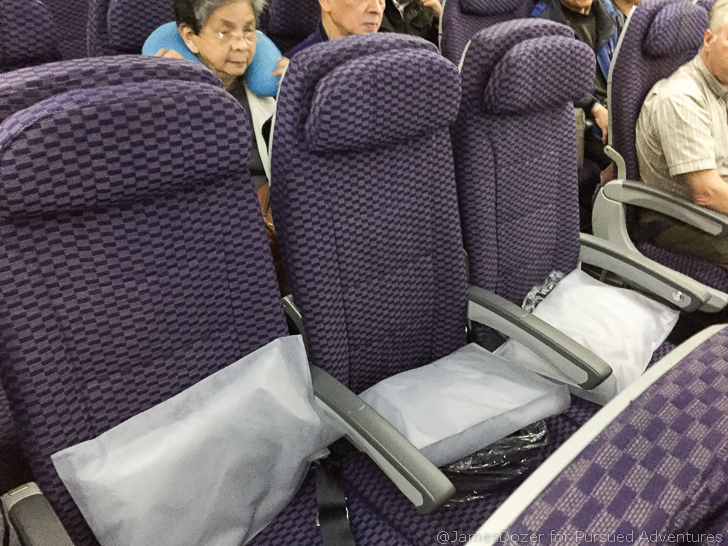 For United Economy and Economy Plus passengers, you can expect standard economy class seats with 17.3 inches of width and 32 inches of pitch (35 inches in Economy Plus). Economy class seats have a recline of 3 inches and Economy Plus seats have a recline of 4 inches. As for meals, you can expect two full hot meals and one snack mid-flight. 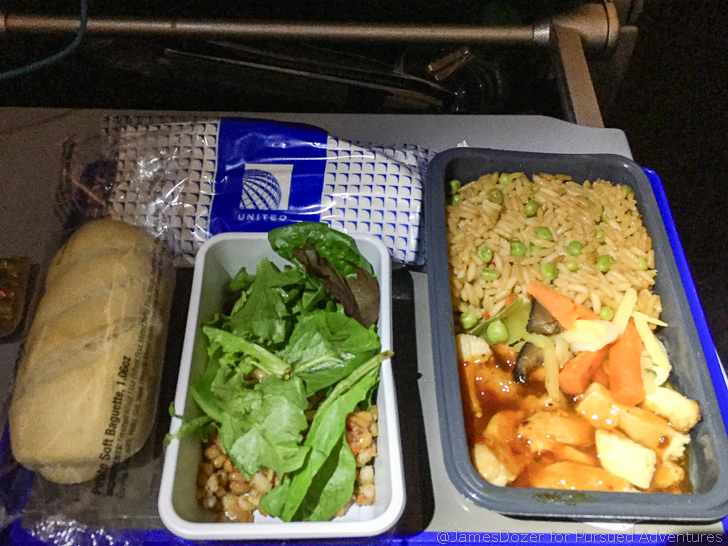 Here’s what a typical economy class dinner looks like. You’re looking at a main meal of chicken or pasta, a side salad and packaged bread roll followed by ice cream and a bottle of water. Beer and wine will be complimentary during meal services. And here’s what a typical breakfast will look like. Think omelet, pancakes or noodles served with a side of fruit and a packaged bread roll or cookie. 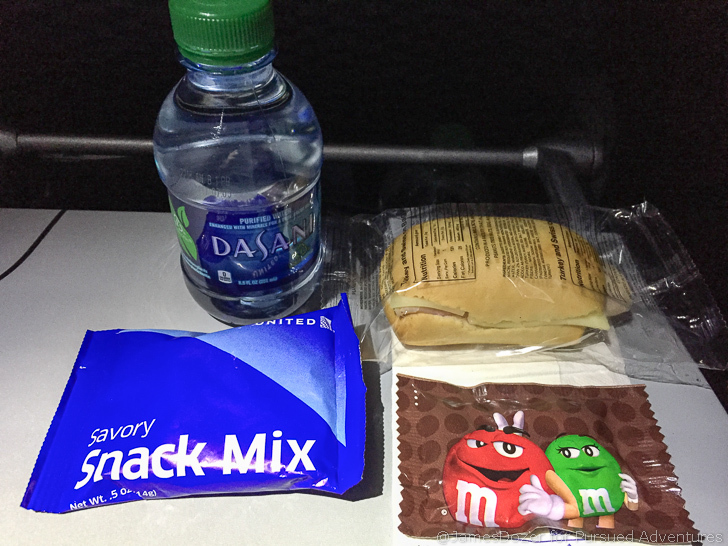 And here’s what the mid-flight snack will look like. My hope is that since this is a longer flight, United will upgrade this mid-flight snack from a cold snack to a hot snack but I’m probably wishing too much here. At Los Angeles, business class and Star Alliance Gold members will use the brand new United Club in terminal 7 until the new Polaris Lounge opens. In Singapore, business class passengers will use the Singapore Airlines Business Class Lounge and Star Alliance Gold members will use the SATS Premier Lounge or Plaza Premium Lounge. KrisFlyer Gold members will use the Singapore Airlines KrisFlyer Gold Lounge. Click here for my full review of the United Club at LAX. There really are no easy options for getting down to Singapore. Other than the non-stop SFO-SIN flights, all other flights from North America to Singapore require at least one other stop somewhere else in Asia. So while this is new route will be a welcomed addition, I personally will be waiting for Singapore Airlines’ non-stop. Singapore Airlines already has plans to operate this flight with an Airbus A350 but that’s not until later. What are your guys’ thoughts on this new route announcement? Will you take it over Singapore Airlines’ current one-stop in Seoul or Tokyo?